The period between 1185 and 1261 was one of systematic destruction of Byzantine imperial power. First, a combination of gross incompetence and bitter infighting amongst the elite under the Angelid dynasty meant that the opportunity for expelling the Seljuq turks from Anatolia which was opened by the success of the First Crusade was never acted upon. The real problem, however, was that the Byzantine emperors had awakened a beast they could not control. Alexios I had originally expected help in the form of mercenary forces, and was totally unprepared for the immense and undisciplined hordes of Crusaders which flocked to the front. Also, instead of returning territory to the Empire, they set up their own principalities and became rivals of Byzantium in their own right. 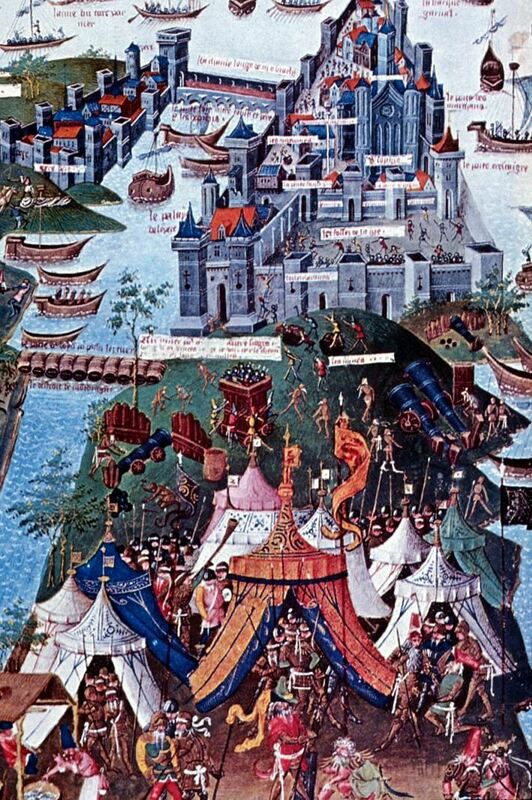 In 1204, this culminated in open conflict between the Fourth Crusade and the Empire, which resulted in the Sack of Constantinople, and the Empire was split into three minor parts; the Nicean Empire, Trebizond, and Epirus. Much of the Nicaean Emperors' efforts now went into combating the Latins, and in 1261 Constantinople was reconquered. The Byzantine Empire was now restored – but permanently weakened.